The Minister of Fisheries and Aquaculture Development, Elizabeth Naa Afoley Sackey has officially opened the 2018 industrial fishing season. The closed season was adopted by the Ministry of Fisheries and Aquaculture Development (MoFAD) and the Fisheries Commission (FC) in accordance with Sections 76 (3) and 84 of the Fisheries Act 2002 (Act 625). The closure of the fishing season, according to the minister, is also in accordance with Ghana’s Fisheries Management Plan (Marine Fisheries Sector, 2015-2019) which is to reduce the over exploitation of fish stock. The Fisheries Minister, managers of the Tema Fishing harbour and key industry players, who embarked on a tour along the Tema coastline, expressed satisfaction with the state of the fishing vessels. “I want to take this opportunity to congratulate all the industrial trawler managers for observing the closed season and we look forward to a favourable fishing season,” she opined. The Minister, in an earlier development inaugurated a 12-member board chaired by Emmanuel Mantey Mensah to advise the Ministry of Fisheries and Aquaculture Development (MOFAD) on all issues related to the development and management of the fisheries sector. The members are Eric Tetteh, (Ministry of Transport), Marian Banso (Environment), Dr. Kwame Koranteng, Francis K.Y. 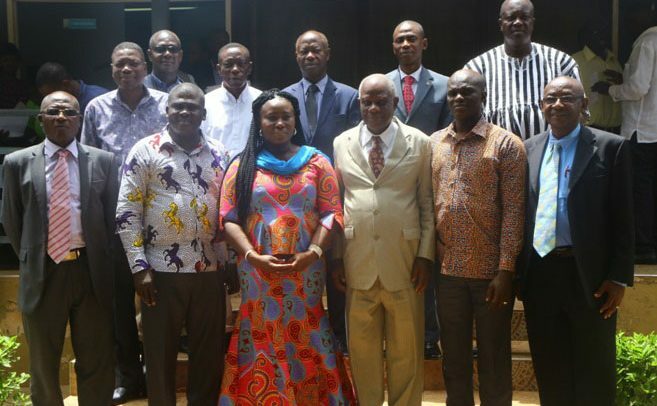 Amevenku (Water Research Institute), Dr Ban Vas Nyamad (Ghana Irrigation Development), James Amarh Amartey (Artisanal Fisherman), Nana Kwasi Awuah (Fishing Industry), Prof Steve Amisah (KNUST), Michael Arthur-Dadzie (Fisheries Commission) and a representative from the Defence Ministry. The Minister was hopeful the newly inaugurated board will help undertake reforms which would help resolve the challenges. “It’s my desire to work hand in hand with you for the development and management of the sector, including the Aquaculture for Food and Jobs project which the Ministry is currently developing. It has the potential to increase fish output and create job opportunities for the youth,” she added.